they might as well be hidden." Three lines from today's poem precisely describe the plight of the radish. The poor, invisible radish. Some are lucky, pulled from the stem, dipped in salted butter, and eaten while sitting under the shade of a willow tree, preferably by a river. 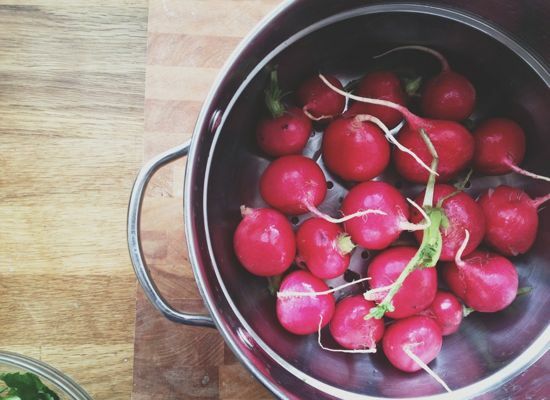 These are the most adored of all radishes. But most are forced raw into our salads as something of an afterthought, greens hastily discarded to the garbage bin before they have a chance to scream, wait, I'm useful!